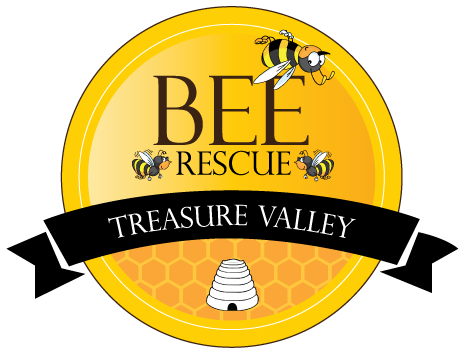 Mark at TVBR is an awesome guy, very professional and always willing to help people/bees whenever possible. I had a swarm get away from me and he fully recovered and set the bees up for success. I can’t thank him enough for all the help. I called Mark on a unrelated subject this morning. I am new here and needed some advice. He directed me in the right direction. However, that isn’t why I am posting. Mark is doing a great service to our area. Bee’s are dying everyday because of the chemicals in our food. (GMO’s) being one of them. Bee’s pollinate a great portion of our foods. With out bees we would have a great food shortage. Please Call Mark if you find yourself with a hive of bees that need a new home. I believe he is doing a wonderful thing in trying to save our bee population. And thank you very much Mark for the great part you are doing for all of us. It sounds like the same as the other reviews. We called, he was here within an hour and not only took the bees but filled me full of knowledge and made me feel very comfortable. I can’t wait to try the honey. Thank you! Mark came out his morning at the request of our pest control company, after receiving a report that we had a large swarm of bees in one of our trees. The swarm estimated to be between 15,000 – 20,000 bees! Mark patiently relocated the bees into a portable bee box and they immediately settled down, and he loaded them up for a ride to their new home! Being totally unfamiliar with the bee rescue process, Mark explained the system of bee relocation, and highlighted the value of honey bees, and shared their plight of competing with new construction and loss of natural habitat. The whole episode was very interesting to observe, and I was actually rewarded with a small jar of natural honey…SWEET!!! My wife spotted a huge dense swarm of bees near the top of a tree in our yard that is over 30 feet tall. She was panicking and I thought they were hornets. I called over 20 pest control places but considering it was a Sunday, I couldn’t find anyone to come out. (One guy said he could come but his ladder wasn’t tall enough) Then the swarm moved down from the tree to the top of my 6′ fence. That is when I got close enough to see them and they were honey bees. Then I did a google search and found this site. I called Mark and he was here in under 5 minutes. Turns out he lives two houses down… small world. He showed up with some ‘racks’ of honey comb and a bee hive box. He took them away without hurting them and even gave us a small jar of honey. I’m an educated person and I though I knew a thing or two about bees but I learned more in a few minutes of talking to Mark about bees that I ever knew. More bees showed up this morning I’ll give Mark another call. Mark was awesome. He showed up with a huge swarm, probably 25k bees, and got them all in safe and sound. he then spent the time to make sure I was taking care of them right and answered a ton of questions for me. It was a great experience and I can’t wait to get back to the top of his list for my next swarm. He really knows what he’s doing and it was a pleasure to work with him. Mark was absolutely fantastic ! Not only did he respond very quickly, but he was incredibly professional and knowledgeable. He quickly turned the situation from from dangerous to educational. Thank you Mark for the safe removal and proper relocation of these important insects!